This post contains another set of brief impressions on some of the new IEMs that have hit my desk in the past month. These are either noteworthy sets that are not near the top of my review queue yet, or IEMs that I’ve listened to but don’t plan to review in full for one reason or another. More of these IEM mini-reviews will appear on the Brief Impressions page as they are written up. These notes are based on brief listening impressions done over the course of a few weeks. Being a big fan of the quad-driver Noble 4S customs (full review here), I was quite curious to try Noble’s similarly-priced flagship universal IEM. As the name implies, the Noble 6 is a 6-driver affair, complete with a 3-way passive crossover in a 2+2+2 configuration. Like Noble’s other universals, the 6 is made out of black plastic, with only the logos and a couple of screw heads visible. However, limited edition (or rather, one-off) versions of the N6 featuring much more interesting – and often downright gorgeous – designs occasionally pop up in the Wizard section of Noble’s website. The unit is much more compact than I’d expected – despite holding 6 balanced armature drivers per side, the Noble 6 has a significantly smaller footprint than the acrylic custom-come-universal earphones I’ve tried, such as the FitEar TG334 and StageDiver SD-2/SD-3. The housings are a little on the thick side as a result, but remain very lightweight and the nozzles are long enough for a fairly deep seal. Overall comfort is excellent – on-pair with ergonomically-designed universal in-ears such as the Westone W40. The Noble 6 uses the same 2-pin detachable cable as my 4S customs, a cable that I like quite a bit. It is braided below the y-split and has a sturdy-looking 45-degree plug (though the plug might be too big for thicker smartphone cases). Also worth mentioning is the high sensitivity of the Noble 6 – it’s pretty much guaranteed to be able to reach ear-splitting volumes from all sources, but also has a tendency to hiss with some. This may not be noticeable in day-to-day listening, but those using a source with anything but an ultra-low noise floor may feel an urge to upgrade after getting the 6. The folks at Noble are very upfront about the 4 being the champion of neutrality and the 6, with its two extra drivers, being the bassier, more “musical” option. The 6 is indeed significantly bassier than my 4S unit, improving also on one of the few things I found short of outstanding with the quad-driver Noble–bass depth. The more balanced and neutral-sounding 4S carries better clarity through the midrange and sounds more transparent overall. That said, comparing the 4 and 6 didn’t make a whole lot of sense as it’s unlikely someone would be open enough to two very different sound signatures to consider both. The 6 is a colored earphone with plenty of bass and an overall tonal character somewhat darker than I consider neutral, so instead I pitted it against the EarSonics SM64, InEar StageDiver SD-3, and the custom-fit Westone ES5. Comparing the Noble 6 to the SM64 was no easy task – the earphones have a huge difference in efficiency. The Noble unit being more sensitive than most and the SM64 – far less so – meant that the SM64 required a volume setting more than double that of the Noble with my Cowon J3. Getting past the volume-matching, it becomes clear that the Noble 6 is actually bassier than the SM64, which itself is not at all lacking in low-end presence. Both earphones have excellent mids – smooth and warm, yet detailed. At the top, the SM64 has a little more energy overall, resulting in the Noble unit having a darker tone in comparison, but neither earphone suffers from peaky or grainy treble. Compared to the StageDiver SD-3, the Noble presented a more v-shaped sound with a little more bass impact and a warmer tonal character. Its bass seemed a little boomy, but thanks to its more energetic treble, the Noble 6 sounded more crisp and oftentimes clearer than the SD-3. The bass holds both of these earphones back from reaching Noble 4S levels of transparency, but for bass-heavy earphones both are quite good. Likewise, the Westone ES5 is also quite similar to the Noble 6 in performance – the 6 is a little more v-shaped and a bit bassier while the ES5 has slightly more forward mids, but the sound quality is quite close. 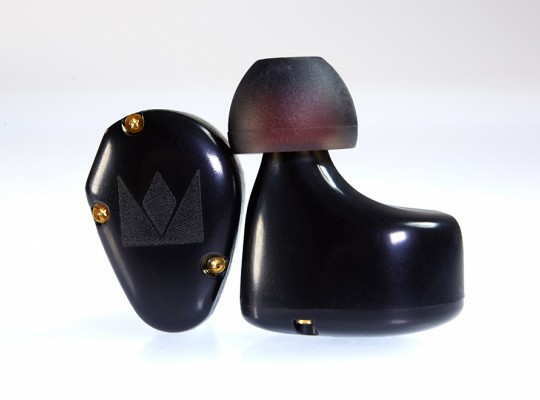 Long story short, fans of neutral or analytical sound are better off with the quad-driver Noble model but the 6 exists for a reason and holds its own against enhanced-bass competitors such as the Westone ES5. 12/27/2014: Full review of the DN-2000 has been posted here. I very much liked Dunu’s first triple-driver hybrid earphone, the DN-1000 (full review here), so the announcement of a new higher-end model had me both excited and anxious – the latter because it’s tough to improve on a great thing, but easy to ruin it. Dunu certainly tried to go for improvement, pulling out all the stops with their new flagship. The packaging is significantly nicer – pricier materials and a better presentation. The new felt-lined aluminum case is excellent as well, and the accessory pack is bordering on excessive, adding several new bits and bobs to the already-extensive DN-1000 accessory kit. Most of the new parts are meant to stabilize the earphone in the ear – possibly a reaction to those complaining about the weight of the DN-1000 and the resultant fit/comfort issues. The ear fins slide under a retaining feature on the side of the earphone housing and actually work pretty well, though the DN-2000 fits me fine without them. In terms of size and shape, the DN-2000 isn’t very different from the DN-1000 – the color scheme, a combination of light gold and “latte”, is more unique compared to the shiny silver of the DN-1000. The cable material is the same but the plug and other hardware have been re-done – whereas the DN-1000 shares parts with Dunu’s lower-end models, the DN-2000 is pretty much all-new – and better-looking as a result. Of course, none of that will matter if the DN-2000 doesn’t measure up in performance – with an estimated $315 MSRP, it’s about $100 more expensive than the model it supersedes. Happily, the DN-2000 is an excellent performer – it’s a little early to call it a direct upgrade over the DN-1000, but it does offer a few improvements. The most noticeable is in the presentation – the higher-end model is more spacious and unconstrained. It creates a wider, airier, more spaced-out sonic image, making the DN-1000 – itself no slouch in the soundstaging department – sound more intimate and a touch more congested. Part of the reason the DN-2000 is able to do this is a slight decrease in bass emphasis – indeed, its sound is overall more balanced than that of the lower-end model. It still maintains impressive bass impact, detail, and extension, and is by no means light on low end presence. The mids of the DN-2000 are more prominent than those of the DN-1000 and appear to be in better balance with their low end. This gives the newer earphone a touch more vocal clarity. The treble has plenty of energy – not a problem with either of the Dunu hybrids – but seems to be a touch more refined on the newer model. The DN-2000 is nicely extended and just as sparkly as the DN-1000, but a little more tolerant of sibilance when it comes down to it. All in all, I consistently preferred the DN-2000, but the differences subtle enough that I wouldn’t advocate DN-1000 owners to throw away their earphones just yet – for hip-hop and EDM listeners, for example, there might not be much benefit to the new tuning (and perhaps it would even be preferable to have the DN-1000). The DN-2000 also performed very well when pitted against a high-end BA earphone, the VSonic VC1000, providing a bassier sound with a thicker, more natural note presentation. Overall, it comes out at least a half-step ahead of the TWFK-based VSonic set, something the DN-1000 doesn’t quite manage. The DN-2000 even holds its own against the $570 Lear LUF-4B – the Lear unit is warmer and thicker than the DN-2000, with slightly tighter bass and more prominent mids, but the DN-2000 is brighter and a little clearer. The DN-2000 will be getting a full review soon. 09/07/2014: full review of the NE-600X has been posted here. While the two sets above attempt to one-up their predecessors, the NE-600X offers a more reasonably-priced alternative to the NE-700X model I’ve reviewed previously. Very reasonably-priced actually, as it costs just $15. This makes the NE-600X the entry-level model in NuForce’s product range. 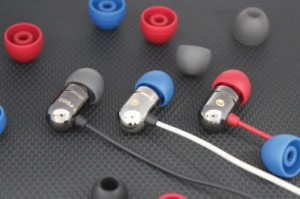 The earphones come plainly packaged in acrylic and include just the basic three pairs of eartips. The construction is decent enough for the money, with a flat cable and aluminum housings. A headset version with built-in microphone and remote, the NE-600M, is also available. Though the bass is a little on the boomy side, the NE-600X has pretty good clarity – a tad less than the NE-700X, but not bad at all considering the bass quantity. The overall sound is a little v-shaped but still dominated by the low end. 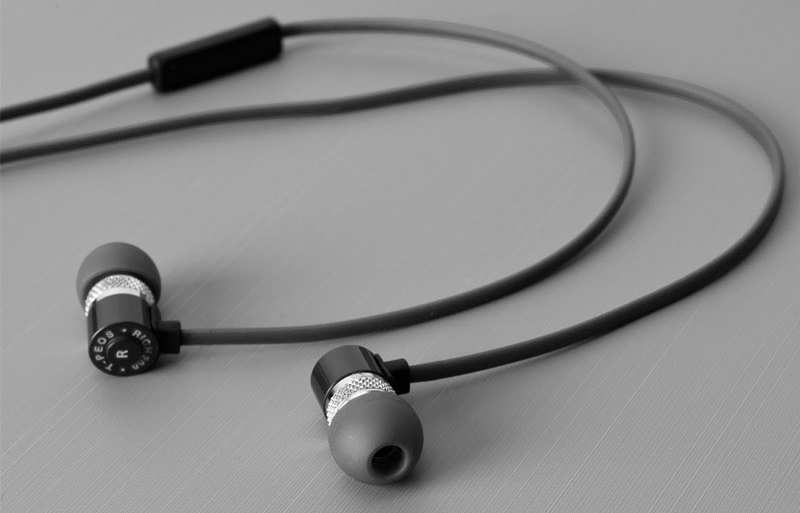 However, the strong upper midrange and lower treble presence do allow the NE-600X to beat earphones such as the pricier Dunu DN-23 in clarity. The presentation of the NE-600X is an asset as well – nice and out-of-the-head, which helps the bass appear less boomy than it otherwise would be, reducing congestion. Worth noting also is the very high sensitivity of the NE-600X – certainly a positive quality in an entry-level earphone meant for the general consumer. I ended up preferring the NE-600X slightly to sets such as the Dunu DN-12 and RHA MA350, both of which are included in my earphone buyer’s guide, so at $15 it will get a full review. 07/02/2014: full review of the D200R has been posted here. I recently reviewed two of the three T-Peos earphones featured in my previous Brief Impressions post – the Tank and Popular. For the price, both are excellent performers, which made me all the more excited to try the two slightly higher-end models – the D200R and RICH200. And I do mean slightly higher-end – all five of these sets are all priced within $10 of each other. 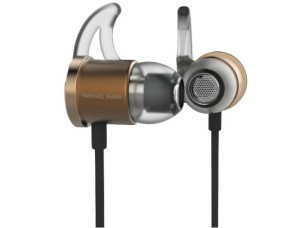 The D200R is the first of the two, a dynamic-driver earphone featuring a design very similar to the pricier H-100 model. Sturdy metal housings are complimented by cables that are plasticky near the housings but become thicker and gain a nylon sheath below the y-split. For a reasonably-priced earphone it’s a very impressive, but the sound is more exciting still. The D200R is the most balanced of the T-Peos earphones I’ve heard, boasting more midrange presence for a less v-shaped, more natural sound. It has a slightly thicker sound than the other sets. It also has the smoothest treble and most open presentation of the bunch. Though priced about on-par with the other T-Peos dynamics, the D200R doesn’t sound like it was cut from the same cloth the way the Tank and Popular do – its sound is more relaxed, yet still technically proficient. The D200R definitely deserves a full review. 08/27/2014: full review of the D200R has been posted here. Yet another reasonably-priced dynamic-driver earphone from T-Peos, the RICH200 differs little from the others in construction – its design is a little more unique but it still shares solid-feeling metal housings and narrow flat cables with the Tank and Popular models. The RICH200 also features an inline mic and remote, just like the Tank. Its sound is indeed rich – bassier than with the similarly-priced D200R model and a little more v-shaped overall. It’s about on-par in sound quality, though I find the smoother D200R to sound more natural. Overall, the signature of the RICH200 is actually a compromise between the D200R and one of the other T-Peos dynamics, which are all more v-shaped in response. The RICH200 certainly isn’t worse than the T-Peos units I’ve reviewed previously, so considering its similar price, seems to be worth a review. More of these IEM mini-reviews will appear on the Brief Impressions page as they are written up. Questions or comments? Leave them below. How does the DN-2000 compare to the UM3X? They’re at similar price points but does one lend itself better to certain genres over the other? Yeah, they are very different. Get the UM3X if you want warm, smooth, and intimate – the DN-2000 doesn’t do any of those things. Get the DN-2000 if you prefer a neutral-to-bright tone with an emphasis on deep bass rather than mid-bass and a more out-of-the-head sound presentation. I am deciding between the DUNU Dn-2000 and the Inear SD2 and wanted to ask you about similarities and differences in the sound sig. I prefer kind of neutral sound throughout the frequencies with slightly forward and lush mids but good extension in both directions treble and bass. Which of the 2 should be the better choice for me? I guess if one of the requirements is mids that are not even a little recessed, the SD-2 is the one I’d recommend. Both have good end-to-end extension and near neutral sound, but the SD-2 is warmer and has somewhat laid-back treble while the DN-2000 is brighter and has present, exciting treble. Both have good mids but while the warmer SD-2 may be more mid-forward, it’s also not quite as clear as the DN-2000. thank you soo much for your reply and the time you take to help other people. That was very helpful sounds like I didn’t misjudge the soundsig of both. I think there is a chance I’d be happy with either of them. So the important question for me now is wether the treble on the DN-2000 is too hot? Does it tend to be sibilant? Otherwise it really could be my choice especially considering the Price. Really looking forward to you reply and your review of the DN-2000. “Too” hot is a very relative concept – it will depend on the listener. It’s not as hot as a GR07, for example, or even the DN-1000, but it’s not as smooth as the SD-2 or a HiFiMan RE-600 or Shure SE535. 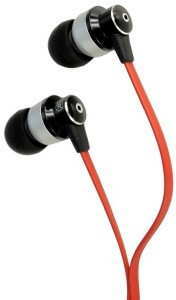 I personally don’t find the treble energy of the DN-2000 excessive and don’t consider it a sibilant earphone. I’m thinking of selling my Brainwavz B2 in order to purchase the DN2000. I’ll be using the comply tips with the DN2000. Do you think there is significant tradeoff between the analytical sound of the B2 to the sound of the DN2000? Essentially, will I missing the micro details that the B2 provides when switching from B2 to the DN2000? I expect that you will only find micro details harder to discern in the bass region – the dynamic driver is just not as tight and quick as the B2. However, what the DN-2000 does so well is maintain superb clarity and resolution in the mids and treble despite its sizable bass impact. I personally think the tradeoff in the bass region is worth it as it’s not a very large one. Thank you for your reply. I received the DN2000 today and absolutely love them. I’m gonna be selling the B2s soon. I have a very general question regarding comply foam tips. Am I ever supposed to wet the comply tips using water before putting them in? My ear canals are usually dry and I had a little bit of irritation when using dry comply tips. So for the past couple of weeks, I have been wetting the eartips prior to use and I think that I’m ruining the comply tips meaning that they don’t compress all that well anymore and they seem a bit puffy. Needless to say, I ruined two pairs over the past two weeks and just put in a order for more. So going forward, I don’t plan on wetting them anymore prior to use. If they do get dirty, I’ll clean them with warm water and air dry them before using them again. Honestly, I’ve never read about anyone wetting Comply tips to prevent itching and I’m pretty sure it’s not recommended by Comply. On a side note, water is generally not recommended to prevent dryness/irritation of the skin – you need something oil-based to trap moisture in the skin. You might want to get the stuff that’s actually meant to relieve dry ears – earphones or not, it should help. As for the Comply tips, I’ve cleaned mine in the past using a weak hydrogen peroxide solution and that didn’t seem to increase wear and tear on them too much. I did dry them afterward.